Stems: 20–40 cm (8–16 in.). Stem usually twining. 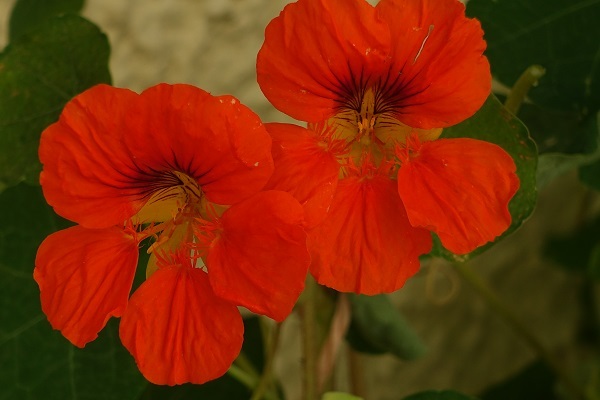 Tropaeolum, named by Linnaeus, from Greek tropaion "trophy," the plant growing on a post reminded him of a classical trophy with round shields and golden helmets such as those hung as a sign of victory on a battlefield (ref. 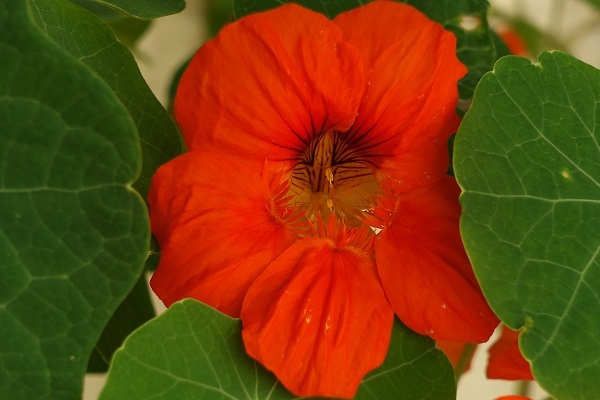 genus Tropaeolum) Linnaeus was reminded of this by the plant as the round leaves resembled shields and the flowers, blood-stained helmets. 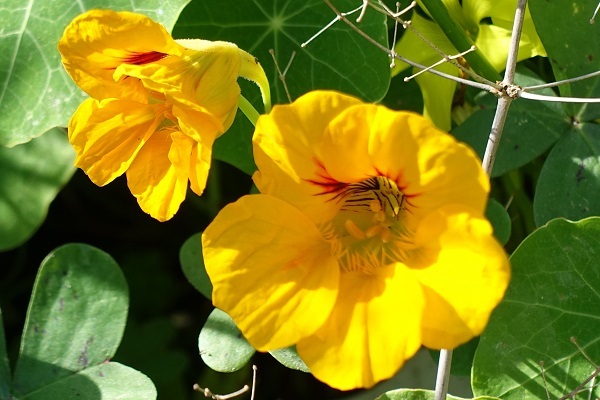 In Israel Tropaeolum majus is an ecological hazard in the adjacent areas where it was planted, for example Nahal Siah in Haifa. Sometimes imported plants from different countries become invasive species imported to the country. In Israel such species include Oxalis pes-caprae, Tropaeolum majus (Nasturtium), Lantana camara and more. 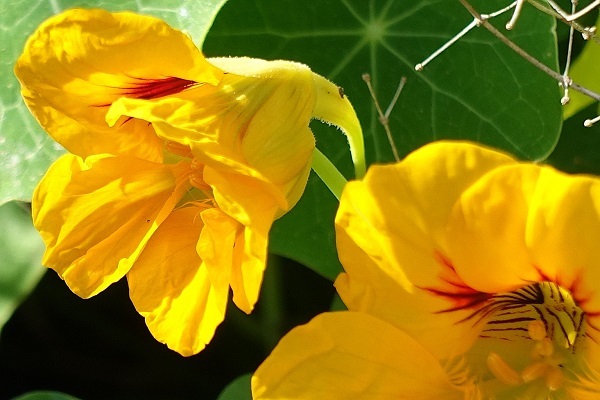 The flowers of Tropaeolum majus L. are mentioned as edible products in old Spanish writings from the 15-16th century. José Quer y Martínez (1695–1764), a Spanish doctor and botanist, calls Tropaeolum majus of Linnaeus, Cardamindum ampliori-a Tournefortian determination. He writes: "This plant, is grown in pots and containers in the gardens of Madrid. It came to Spain from Peru by the hands of our discoverers, where it grows in abundance inmoist and swampy te ains...."
All parts of the plant appear to be antobiotic.